These frozen breakfast burritos are perfect for busy school mornings or feeding a large crowd for a holiday or party. 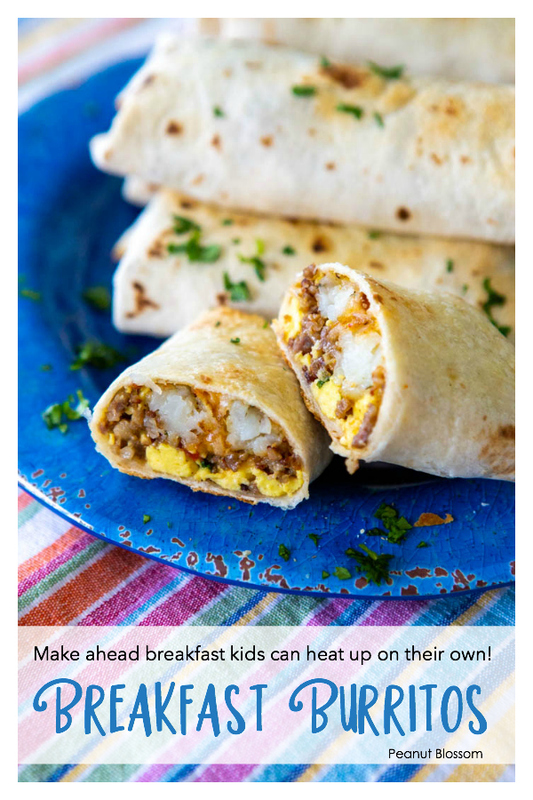 It’s a great make ahead breakfast your kids can reheat all by themselves. But for busy school day mornings when we’re barely getting out the door on time? I don’t usually have the opportunity for making scrambled eggs. Not to mention the pile of dishes I don’t want to have to clean up after. As a special treat, I decided to make up a big batch of homemade frozen breakfast burritos that we can pop in the microwave in a pinch. Here in the Carolinas, kids are heading into their massive end of grade testing. 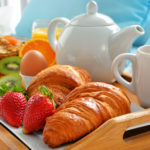 I want the Peanut to get as much sleep as possible, so breakfast needs to be quick and easy but filled with enough protein to stick with her through the long testing day. I took some time over the weekend to prepare make ahead breakfast burritos to help us get through this season a little easier. You can decide exactly what to put in breakfast burritos and customize them for your family. You will find varieties that include scrambled eggs, beans, potatoes, assorted vegetables, cheese, and cilantro but the common feature is that they are all rolled up inside a large flour tortilla and then baked to get a crispy crust. I used diced tomatoes and chili peppers in mine, but you can easily sauté any veggies you like after you’ve browned the sausage. This is the best breakfast burrito recipe because you can prepare all the different elements and gather them up for a simple assembly line. The entire batch of frozen breakfast burritos from start to stored in the freezer took me just 45 minutes on a Sunday afternoon. Bake the tater tots first and let them cool on the stove top while you finish the other elements. Brown the sausage and add the tomatoes, transfer them to a large bowl. Scramble the eggs in the same pan with the sausage grease and then stir them into the sausage. Place the shredded cheese in a bowl. Set out a pile of tortillas and a large cookie sheet. Assemble the burritos, spray with cooking oil and bake for 12 – 15 minutes. Let the burritos completely cook before wrapping individually in aluminum foil before storing in the freezer. This egg and sausage breakfast burrito recipe makes 20 burritos that you can wrap individually and keep in the freezer. 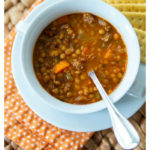 The bulk recipe is perfect for keeping on hand for busy school mornings but works just as well when you need to feed a large group for a holiday or celebration. To serve the crowd, keep the frozen burritos in their individual foil wrappings and just bake them on large cookie sheets in the oven. The foil will keep the breakfast burritos warm while your guests load up their breakfast plates. 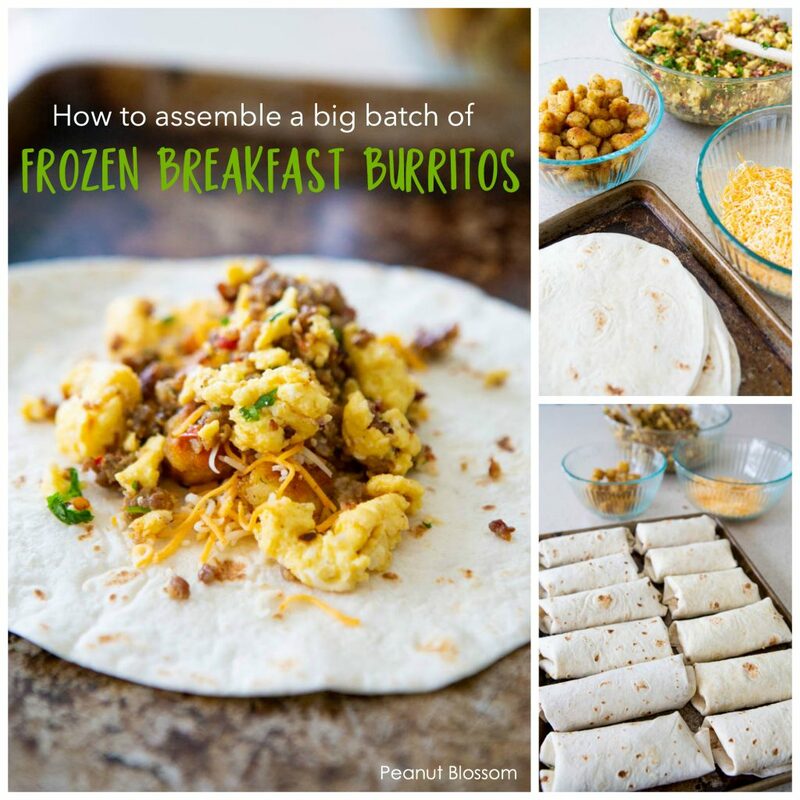 Can you freeze breakfast burritos? YES! This is definitely why we love them so much. On a normal school day, the kids can take one individually wrapped frozen burrito out of the freezer and heat it up in the microwave all by themselves. What goes with breakfast burritos? Everything you really need for a hearty breakfast is already rolled inside these frozen breakfast burritos. But, if you want a side dish to go along with them, fresh fruit would be perfect. If you’re serving breakfast burritos for a holiday or party, consider a large platter of fruit salad for the side dish with maybe a light fruit dip as a special treat. I also like to set out pretty containers of sour cream, our favorite Mexican style hot sauce, and fresh cilantro or green onions for garnish. If you want to do breakfast for dinner, you could make a batch of our favorite Mexican rice to go with the breakfast burritos, too. A very large skillet, I love this simple and affordable one here. Wrapping a breakfast burrito is really easy if you remember to place the fillings just offset from the center. Check out this awesome video that shows you how. This big batch of spicy egg and sausage breakfast burritos are perfect for feeding a crowd or keeping on hand for busy weekday mornings. Spread the tater tots in a single layer on a cookie sheet and sprinkle a little seasoned salt over the top. Bake them according to the package instructions. Let them cool on the stove top while you finish preparing the other fillings. Place a large skillet over medium-high heat and add the olive oil to the pan. Add the bulk sausage and break it up with the back of a spoon as it cooks. Continue to sauté the sausage until it begins to develop a deep toasted look, not just simply “not pink”. Drain the fat off and return the sausage to the stove. Drain the can of Rotel tomatoes to remove as much liquid as you can. Stir the tomatoes & chilies in with the sausage and saute for 1 minute. Remove the sausage and tomatoes to a large mixing bowl and set aside. Whisk together the eggs and half and half. Sprinkle in a little salt and fresh cracked pepper and whisk to combine. Pour them into the same skillet you browned the sausage in and reduce the heat to medium. Stir the eggs and cook them until they are scrambled and no longer wet. Add the scrambled eggs to the bowl with the sausage and stir to combine. On each tortilla add 5-6 tater tots, 1 tbsp of cheese, and 1/3 cup of the sausage + egg mixture. Fold the sides slightly towards the center and then roll the tortilla lengthwise. Line up the assembled breakfast burritos on a large cookie sheet leaving a finger’s width between each one. Lightly spritz some cooking spray over the top and bake for 12 – 15 minutes or until the tops are just lightly toasted. Let the toasted breakfast burritos cool completely. Wrap each one individually in a bit of aluminum foil and then store the burritos in a large freezer bag for up to 1 month. By Microwave: UNWRAP and discard the foil. Place the frozen burrito on a microwave safe plate. Heat on 50% power for 2 -3 minutes. By Oven: Leave them in their foil wrappings and place on a cookie sheet. Bake at 400 degrees for 30 – 40 minutes or until heated through. 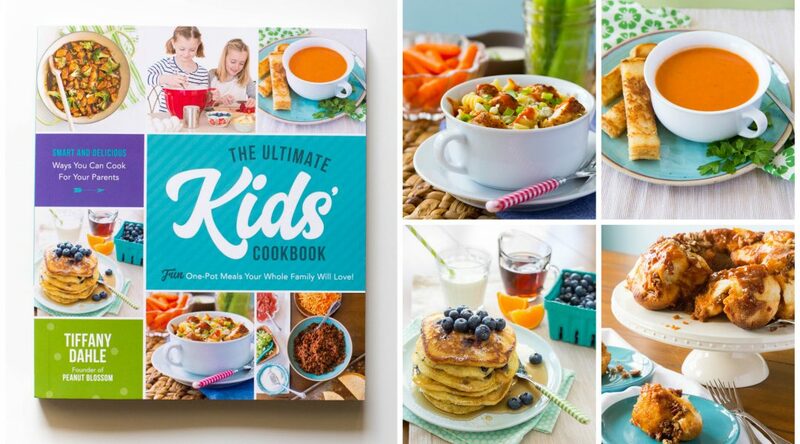 « The Ultimate Kids’ Cookbook cover reveal and sneak peek!